In union there is strength! Indeed this could be the motto for the European Regional Development Fund (ERDF) ESTLAT programme. The Fund decided among other things to finance the joint project “Eagles cross borders“ (“Kotkad riigipiire ei järgi“) of the Estonian Ornithological Society and the Latvian Fund for Nature (Latvijas Dabas Fonds). The project was initiated this summer and is to last for two years. Its main target species are the osprey and the white-tailed eagle, but other larger raptors will also be included. The main activities concern presentations of the species but monitoring of eagles and organising an action plan for the protection of white-tailed eagles are also on the agenda. Work will take place in the western and southern counties of Estonia (e g Tartumaa and Jõgevamaa) and Latvian regions bordering to Estonia. Seminars and learning days will be arranged for foresters, environmental officials, fish farmers and schools, with themes such as the ecological needs of eagles, compensation for damage caused by eagles, legal restrictions and their interpretation for eagle nesting areas and their interpretation, and more. An important aim is to improve the attitudes of foresters and fish farmers of eagles. 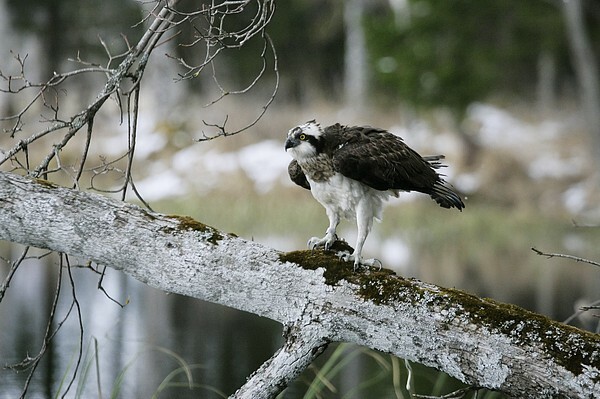 Beginning next spring the nest life of Estonian and Latvian ospreys and white-tailed eagles can be followed in web camera. Real-time transmission from the winter feeding grounds of eagles in Estonia will also continue. In addition ospreys and white-tailed eagles will be provided with satellite transmitters and their movements can also be followed on the web. Before the end of this year photo exhibitions of ospreys and white-tailed eagles will open, in December in the Vanamuine theatre. Our Latvian partner is to compile an Estonian-Latvian pocket manual of nests to help in determining the owner of a large nest found in the forest. At the end of the project a common monitoring methodology for eagles, suitable for both countries, should have evolved so that monitoring data from both countries can be compared and used to describe a common eagle population. If you feel that you belong to the project target group, are interested in an eagle seminar and can provide a place and interested participants please let us know by telephone 503 4799. Continuous information about the exhibitions, web cameras and other arrangements will be on the EOÜ home page.